We climbed to Castel San Pietro, where Cristian took Caroline last night. 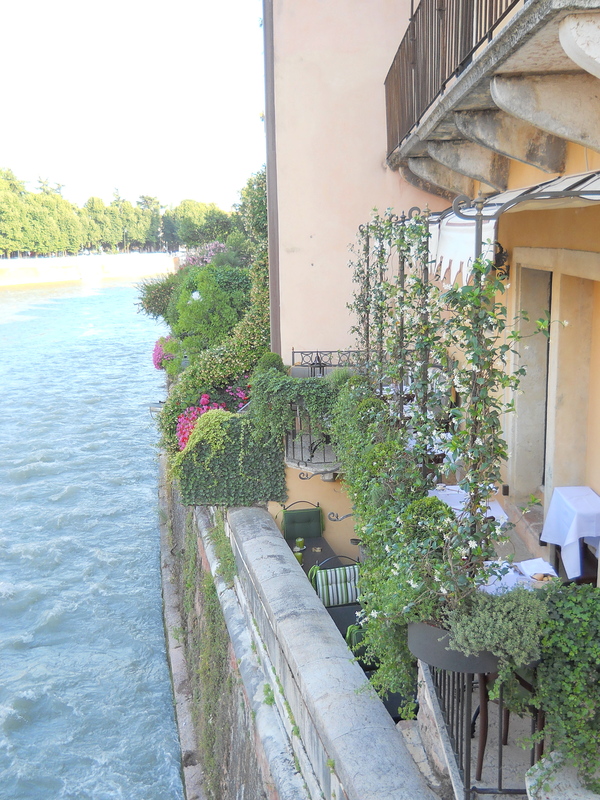 We took a couple of “pensive” shots and then came down and had dinner along the Adige River. 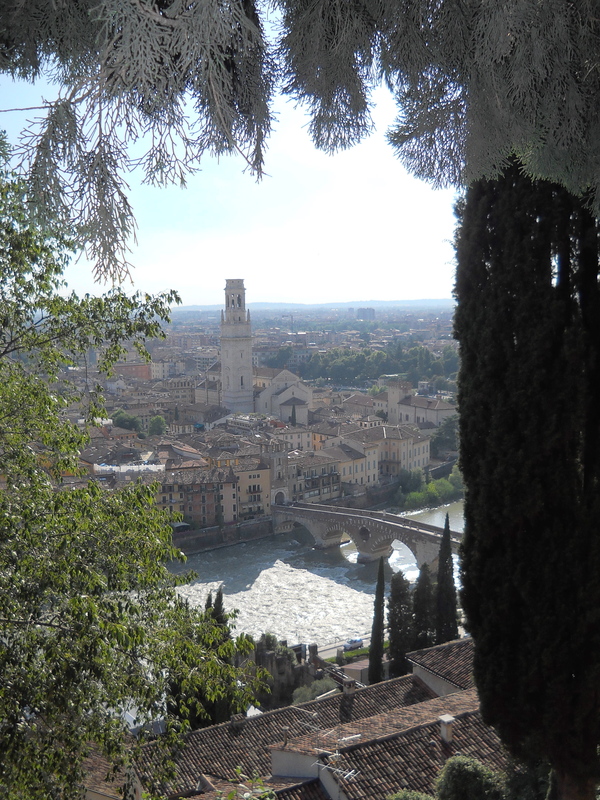 The river curves around the old town and is swift with whitewater under the Ponte San Pietro. Coming home tonight, we noticed everyone dressed up for the opening night of Don Giovanni at the Roman arena. We can see the set pieces of ancient Egypt stacked near the arena for tomorrow night’s performance of Aida. Can’t wait. Tomorrow we rent a car and drive around Lake Garda. There are many free beaches to cool off in. 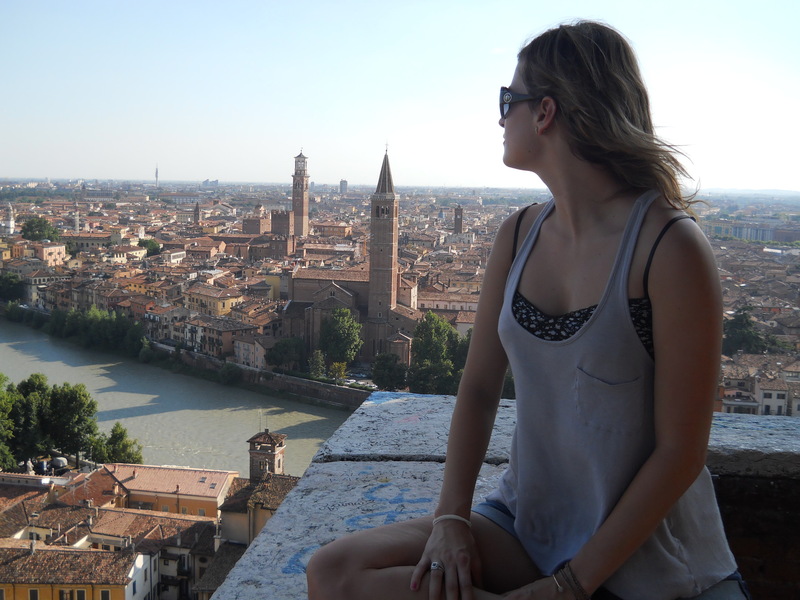 Gorgeous photos of Verona! And the photos of you and Caroline aren’t bad either! 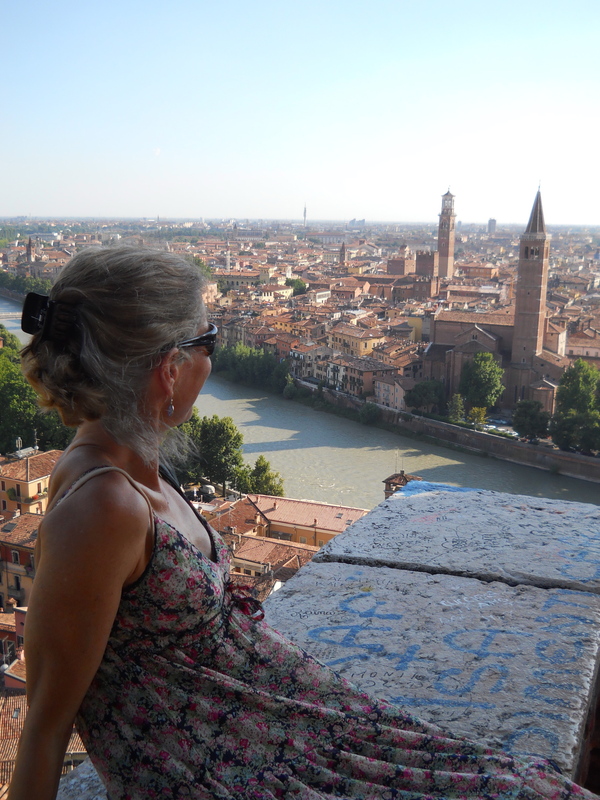 What a wonderful trip you seem to be having – am loving following you on your blog, keep up the good work!